Heading abroad? Learn the native language through apps and classes. One of the best and most authentic ways to fully experience a new city is to engage with the people. You can’t do this without learning at least a little bit of the language. There are plenty of ways to do this, from apps you can download on your phone to traditional language classes that won’t break the bank. Read on for the best options available to you. We’re starting out this list with a free option. Despite the fact that it will cost you absolutely nothing, it is also very versatile. You can work with Duolingo on your computer or through an app on your smartphone. Duolingo uses short lessons paired with video game technology to make it fun and interactive. 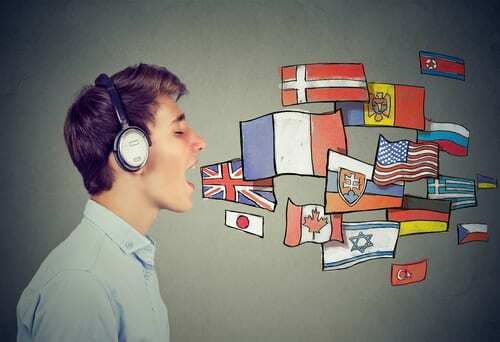 Italki connects users with foreign language teachers and tutors from around the globe. This gives you the opportunity to learn a new language from native speakers. Fees vary depending on the independent tutor you decide to use. Dr. Paul Pimsleur developed these courses, which used to be sold on tapes, after researching how children learn to express themselves. Today, you can access Pimsleur courses online, on CD, or through a smartphone app. You may want to check out your local library before making an investment in these courses; they may have Pimsleur CDs or even cassette tapes for free! TripLingo is an app that has a phrasebook for 13 supported languages. The best part about this app is that they have organized some of the most useful expressions into basic categories, such as “eating and drinking”. In addition, TripLingo’s learning section gives you access to audio lessons and a dictionary as well as flashcard sets in your target language. FluentU takes real-world videos—like movie trailers, music videos, news and vlogs—and turns them into personalized lessons. This will help to warm up your skills for your trip, and help you to prepare and plan for the trip itself. We like this app because it gives you vocab for situations you are likely to encounter in real life. To book your next getaway abroad, call us today at 402-281-3022.